Want a fabulous, fun packed event where you can all try your hand at various arts and crafts? Pottery, painting, tie dye and more! We Can Host Your Event! Firebird Studios can host your event! Why not have a fabulous fun filled arts and crafts party for your next event? Up to 20 people can join in! 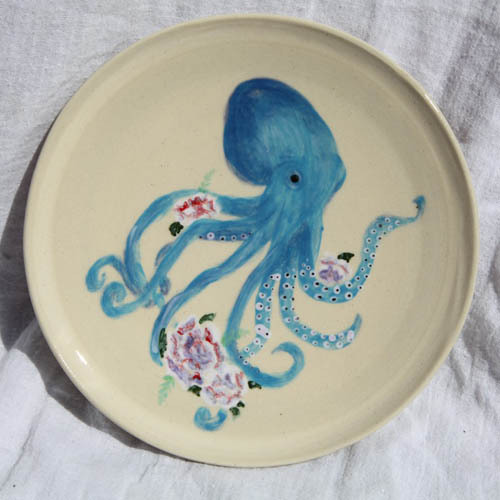 We provide the bisque fired hand thrown plates – you add your artistry with underglazes and glazes. Pick up the finished work a week later! Making your own dinner set is not as difficult as you might think! Use hand rolled slabs to make simple plates, bowls and cups! Great for Christmas! Or anytime! 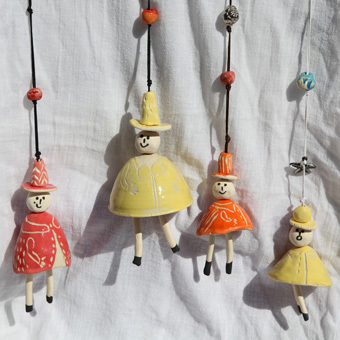 Make tree decorations, bells, door hangers, wall hangings and more. Guided painting class using acrylics and art boards – it’s easier than you think! Become a sculptor for a few hours! Do your own thing, or do a guided project! Do a group project in mosaic or hand made tiles. Great for charity events, schools or workplaces. See who can be the most hippie! Grab your T-shirts and get creative! Make a painting in colourful resins and maybe a pot stand or chopping board as well! This is just a small selection of arts & crafts – anything we offer on our workshop pages and Meetup Group – Creativity Unleashed Gold Coast – can be organised for a fun group event – just ask! Please fill in the form below if you would like more information about our classes and workshops.